The following used rental equipment is no longer in use by the DPC leasing fleet and is available for sale. Please call for more information or to make an offer for any of the below equipment. 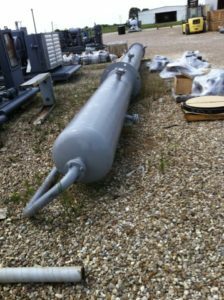 Never used 24″ OD x 35″ vapor recovery tower to reduce storage tank flash emissions. MAWP 14 PSIG, MDMT -20°F. $39,000 Call for more information. 2 Stage Ariel JG with Marathon 60 HP motors. Lot for $80,000. Call for more information. 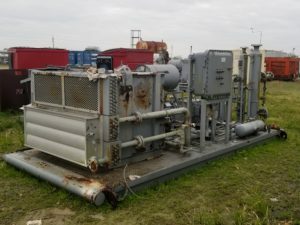 Never used Valerus 2015 constructed 3 phase separators. MAWP 1440 PSIG MDMT -20°F. $21,000 ea Call for more information. 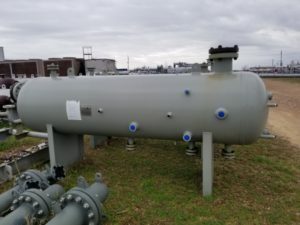 Never used Valerus 3 phase separators. MAWP 1440 PSIG MDMT -20°F. $15,000 ea Call for more information. $60,000 ea Call for more information. Call for more information and to make an offer.